Bandstand was an Australian musical/variety television show which screened from November 1958 to 1972. It was produced at the studios of TCN-9 in Sydney and eventually became a national program as Nine Network expanded into other Australian cities in the early 1960s. 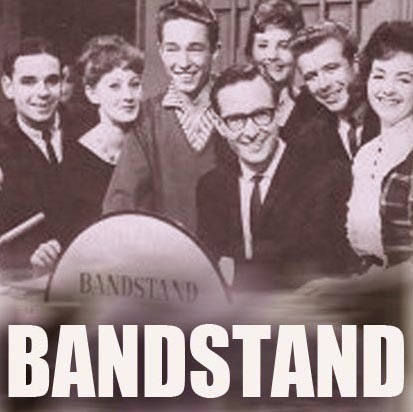 Bandstand was created by Nine executive Bruce Gyngell, who based it on the American show of a similar name, American Bandstand. The host for virtually the entire run of the series was Brian Henderson, who was also the chief newsreader for TCN-9 in Sydney. The series is closely associated with the group of performers who regularly appeared on the show, and became known as The Bandstand Family. This included Col Joye, Little Pattie, Warren Williams, Lucky Starr, Sandy Scott, Bryan Davies, Johnny Devlin, Laurel Lee, Judy Stone, Digby Richards, The Bee Gees, The Allen Brothers (the duo that included future solo star Peter Allen), Cathy Wayne and Olivia Newton-John. The musical director was Bob Young and all the bandtracks and vocal performances were pre-recorded at Natec Sound Studios in Bligh Street Sydney. The Audio Director was Max Alexander who worked for Channel Nine.